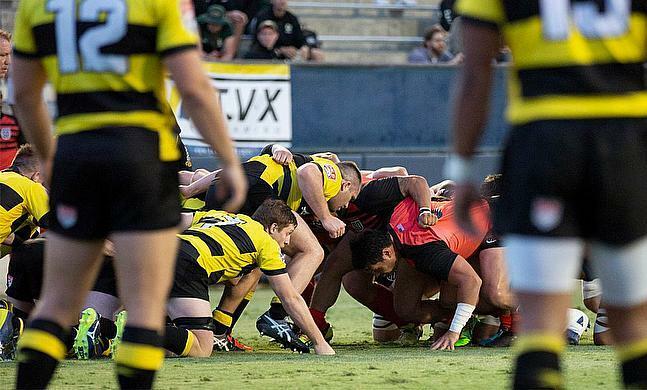 NOLA upset the Toronto Arrows on their Major League Rugby debut. Eagles number eight, Cam Dolan, shone brightest for the Gold, heavily involved for the first score of the game, offloading to Scott Gale to get in over in the corner. Toronto hit back with their first ever MLR try as John Moonlight claimed that honour on what would be a team of the week performance for the Canadian international. Golds’ halftime lead was a healthy one. Tries from Tim Maupin, Eric Howard and Con Foley contributed to a 24-7 advantage for the side from Louisiana. We're back, and so are the weekly #MLRugby accolades! There must half been some stern words said at the break as the Arrows flew out of the blocks in the second period. Dan Moor scored a double on the wing, showing impressive rugby intelligence for both of his tries. JP Eloff stemmed the Canadian tide with an impressive solo try as the South African-born USA international showed what he was capable of after an illness affected his maiden MLR season last year. The final 15 minutes were a tense affair. Toronto were awarded a penalty try after NOLA knocked the ball on when the Arrows looked certain to score. However, when NOLA’s offseason signing, Tristan Blewett, scooted past the defence by dribbling the ball around them to score, John Sheridan’s late try for Toronto wouldn’t mean anything. Not a bad first outing for the Arrows, picking up two bonus points, but NOLA showed their experience in the majors. A somewhat different affair in Austin as the SaberCats intelligently beat their Texan rivals thanks to the boot of Sam Windsor. Despite persistent rain throughout this game, it was a fairly high-quality match. Windsor kicked two early penalties, but they were soon wiped out by a converted Chris Schade try, off the back of a maul. Windsor kicked two more penalties to keep Houston in the ascendency leading up to half time. Austin couldn’t offer much of a response other than a Mickael Romera penalty that drew the first period to a close. Major League Rugby’s highest ever points scorer kicked his fifth penalty after a high shot from Peni Tagive resulted in a yellow card for the former NRL player. Austin got some second wind after that SaberCats score. They maintained continuous pressure in the Austin five meter area and eventually, Canadian international Josh Larsen got over to bring the Elite right back into the game. Timothee Guillimin missed the conversion, but did kick a penalty to take the hosts in front. What was obvious was Houston’s desire to win the game. Phase of play by phase of play passed until Austin infringed at the ruck. Replacement scrum-half for the SaberCats, Connor Murphy, celebrated early, knowing Windsor would slot the kick to give them victory. New York won their first ever MLR fixture with exciting style, with many of their star signings shining. Chris Mattina scored RUNY’s first ever MLR try after the elusiveness of Luke Hume drew in Legion defenders. Hume was at it again soon after, initiating a break that resulted in Connor Wallace-Sims tightly finishing in the corner. A Marsh penalty preceded San Diego’s first score of the game. Nick Boyer leapt over to score a try from the base of the ruck, allowing Joe Pietersen to kick his first conversion of the season. The South African was heavily involved for the rest of the game too, kicking three penalties after the interval. Pietersen even scored a try of his own, following a RUNY penalty kicked by Cathal Marsh, he showed remarkable strength to drag his opposition over the try line with him. After being in San Diego’s 22-meter channel for an extended period of time, Legion wing Save Totovasua knocked the ball down when New York looked to score. The referee awarded a penalty try and the Fijian was sinbinned. RUNY held on to win. A great performance. In what was a replay of the MLR final from last season, Seattle again triumphed over arch-rivals Glendale. It was Glendale who took the lead early on as flyhalf Will Magie kicked a penalty just a quarter of an hour in. Canadian wing, Brock Staller, would wipe out the USA international’s penalty with a kick of his own, swiftly followed by a Tim Metcher try and the conversion was slotted by Staller too. Magie split the sticks for another penalty that brought about half time. Glendale came out of the changing room with renewed vigour in the second half, scoring two quickfire tries through Dylan Simpson and John Ryberg. However, the Staller show continued to amaze. The big wing chipped and chased to score his first try of the new season, even converting his own score and he put the icing on the cake with a late penalty so secure victory for the champions.